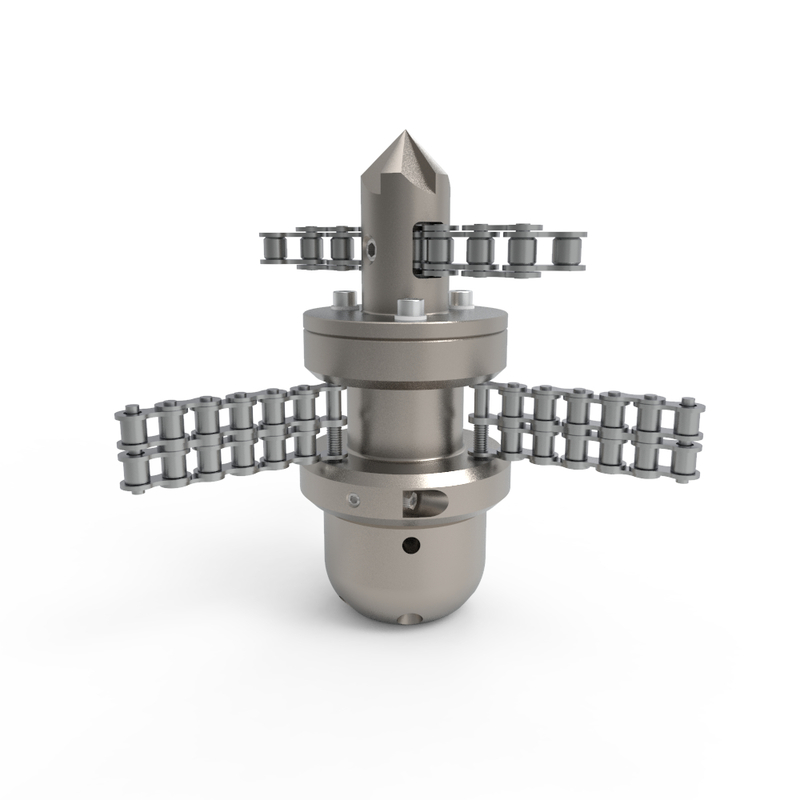 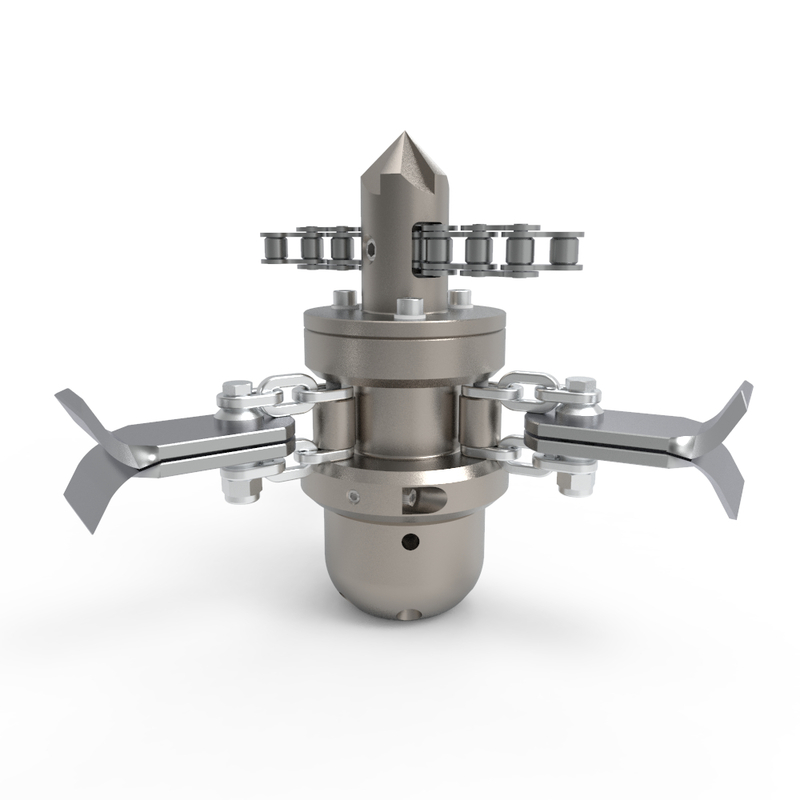 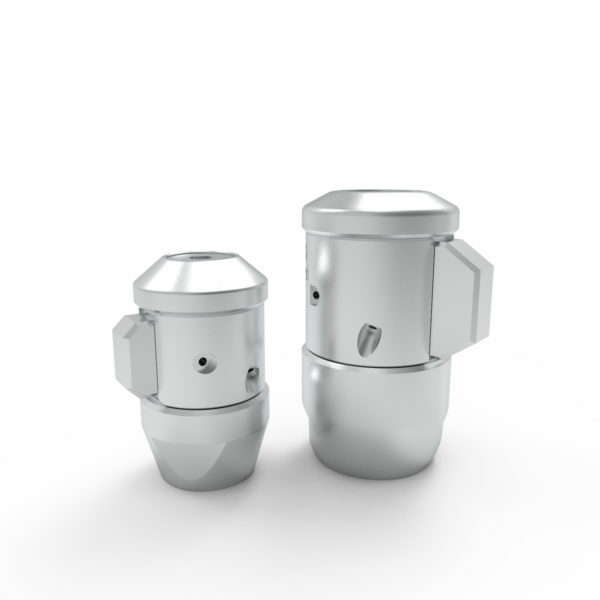 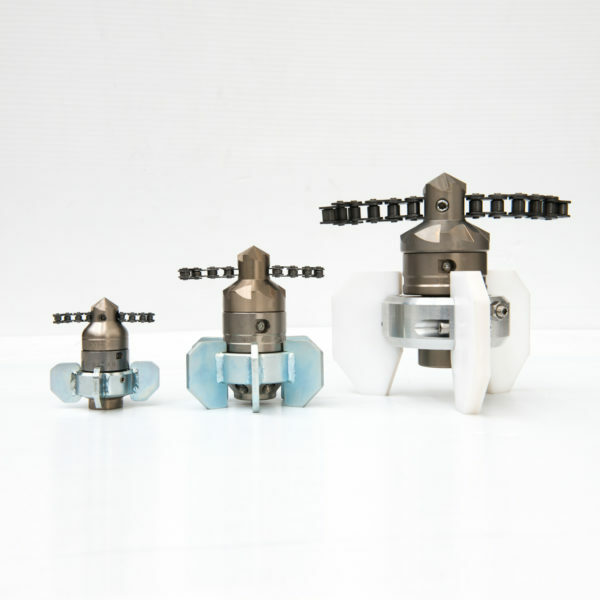 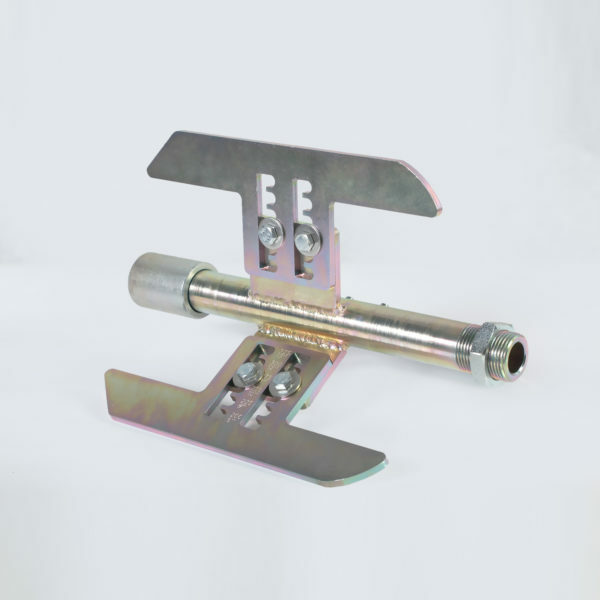 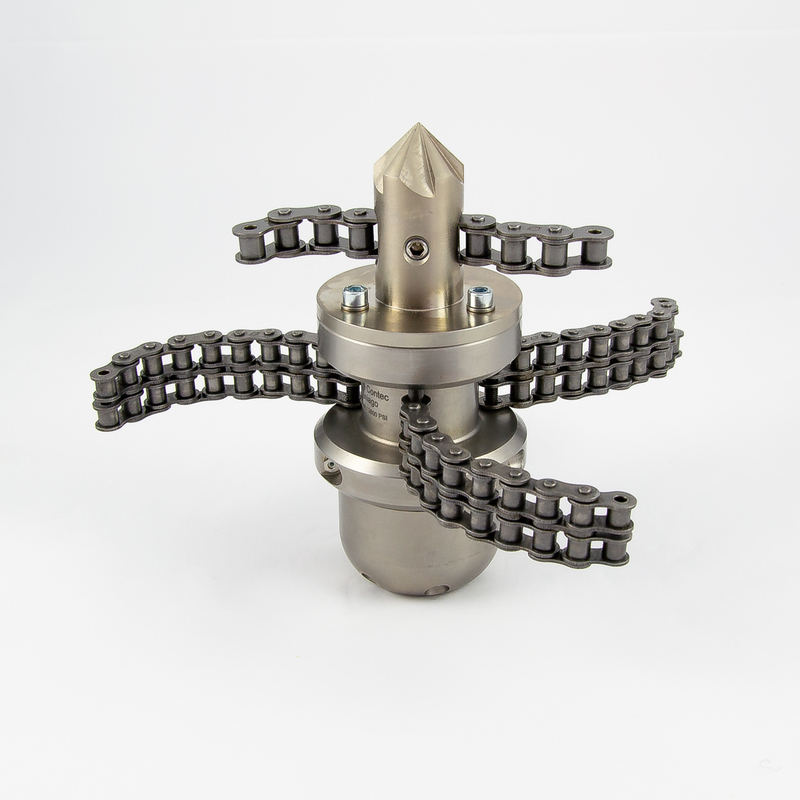 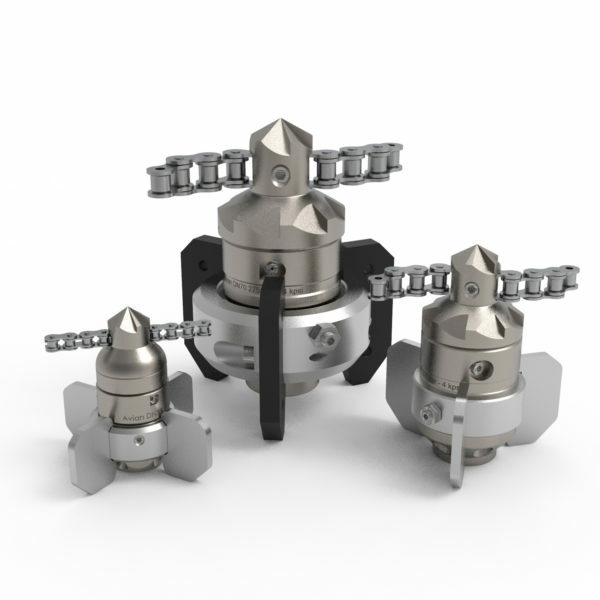 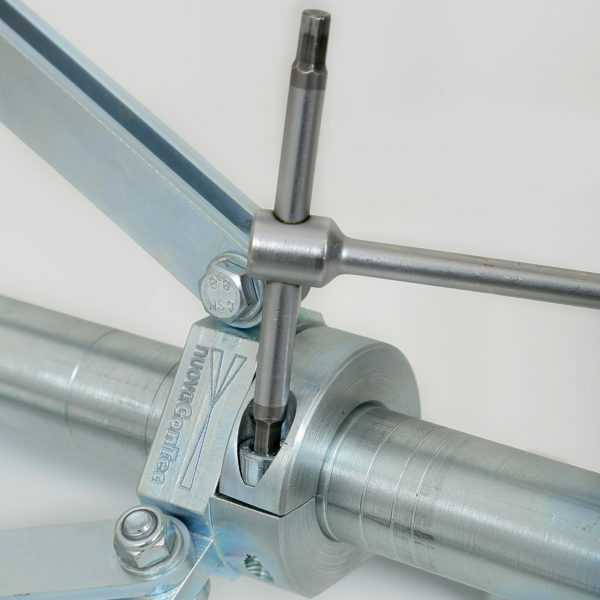 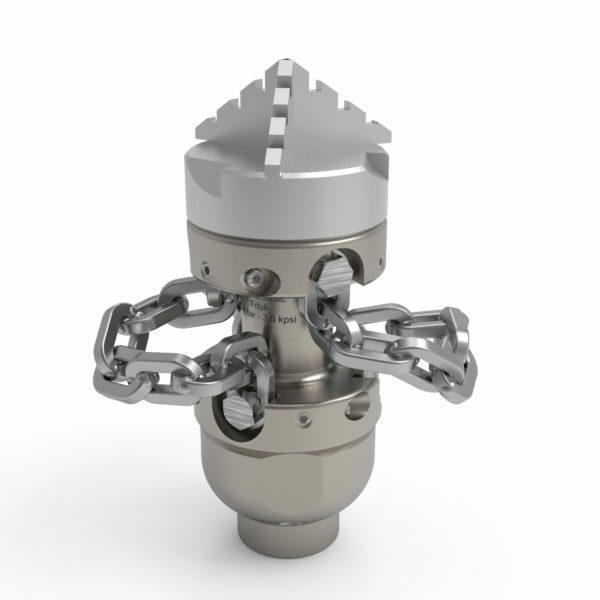 Stainless steel root-cutter chain rotating nozzle. 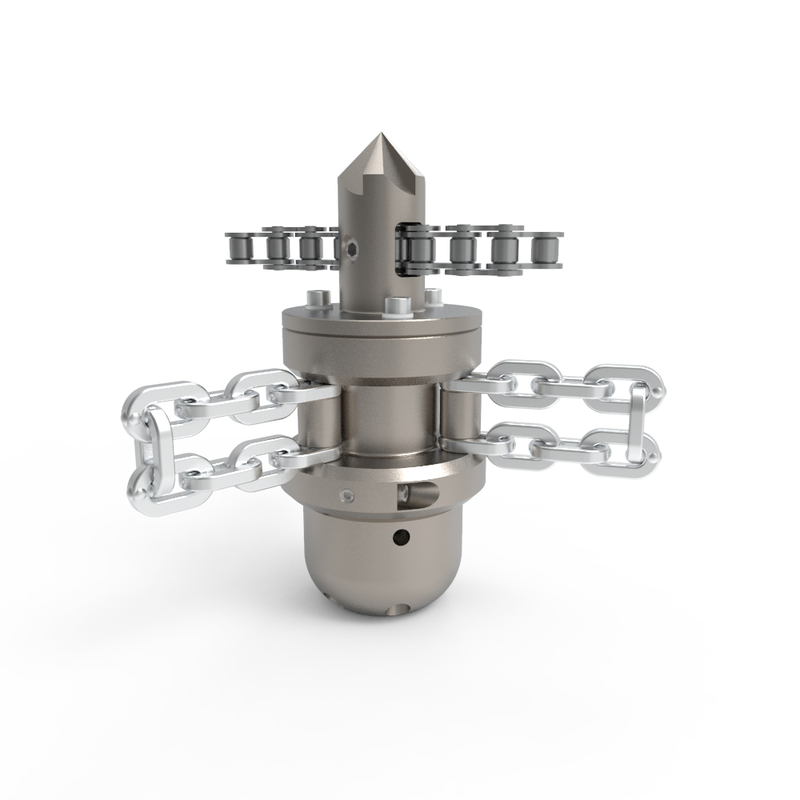 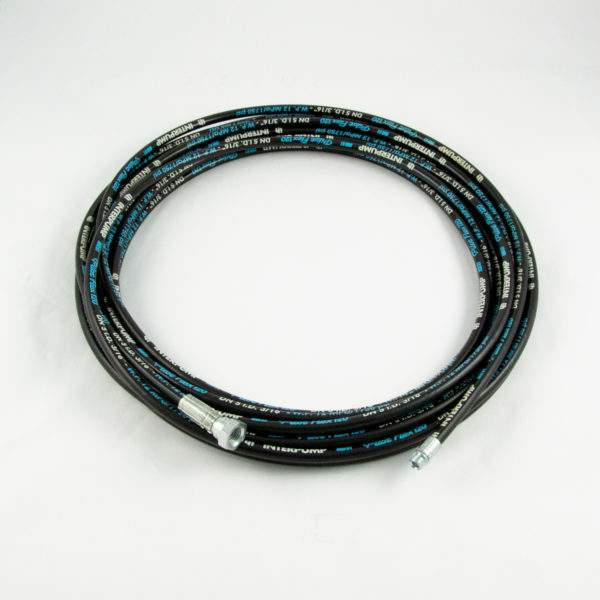 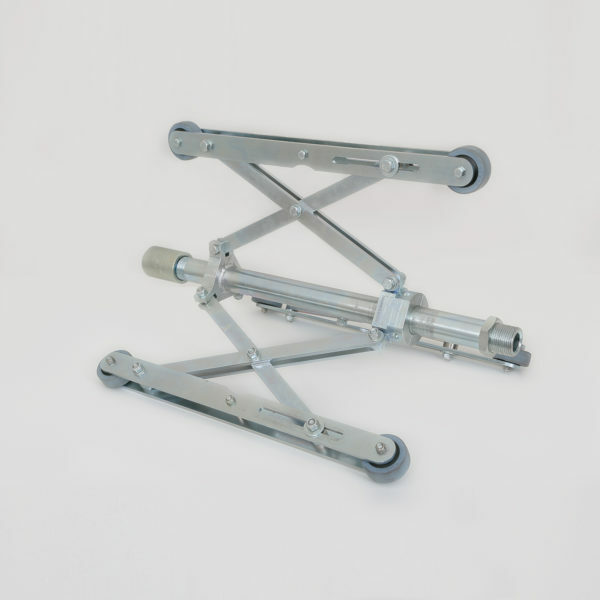 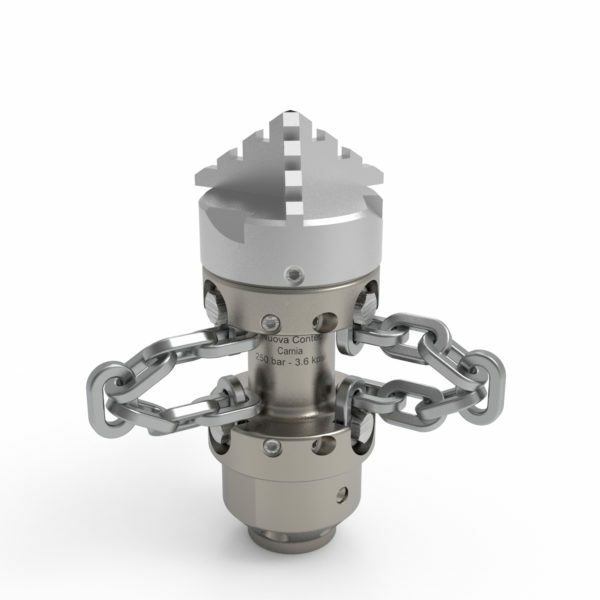 Maniago has been designed in order to be used with different types of chains (ring, motor or double–bladed chains), to be selected referring to thickness and size of roots to remove. 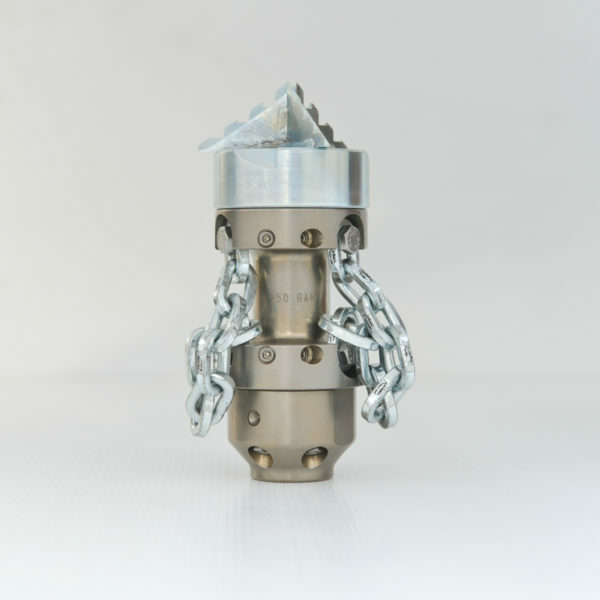 Supplied as package in plastic case, it includes nozzle with ceramic inserts, chain supporting head, sets of chains and tools. 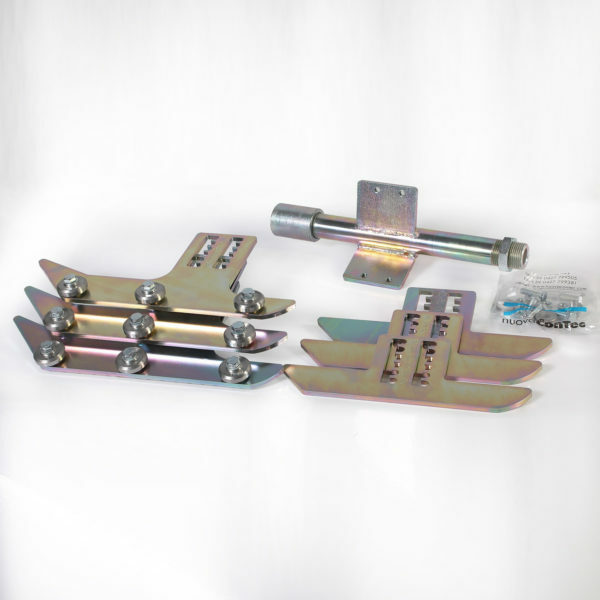 Suitable to remove roots, unsuccessful liners, rust. 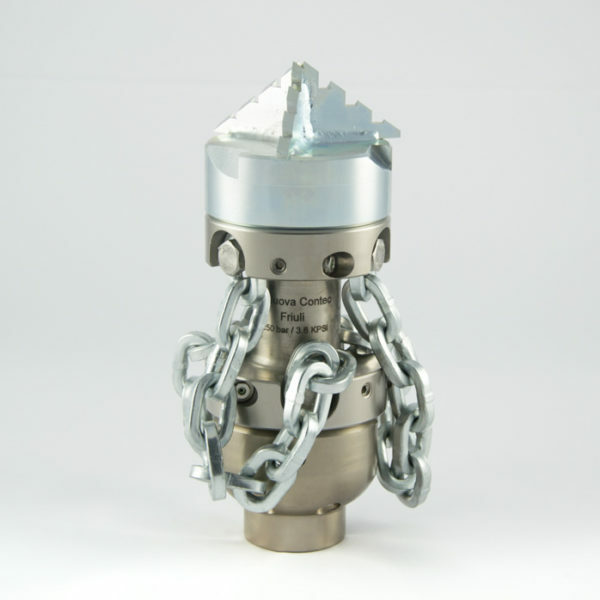 It must be used with pipe centralizer and specific chains according to pipe DN.